As you begin a window replacement project, you will look for the best quality, best price, and best company. All of these depend on the material being offered. Vinyl windows come in high and low quality, cheap prices and you might be able to find a company that is easy to work with. The long-term problem is what you may not be considering. In five or 10 years, will your windows still be the best quality? Will the cheap price be worth it? Will the company stand behind their product? We have learned that vinyl is not final. We, North Georgia Replacement Windows, have been a company for almost 15 years. We have sold vinyl, and we have stopped selling vinyl because we’ve seen the long-term problems associated with vinyl windows. Now we offer a window that is far superior. The Infinity from Marvin fiberglass window is high quality, reasonably priced and we are a reputable company – just ask our customers. We work alongside a company who has been in the window business for over 100 years. Marvin, now offering the Infinity from Marvin fiberglass window, recognized an opportunity to offer quality replacement windows and doors along with professional installation. Infinity windows are made completely of Ultrex® Fiberglass. The best material to keep the elements out, last a lifetime, and offer countless benefits to you. 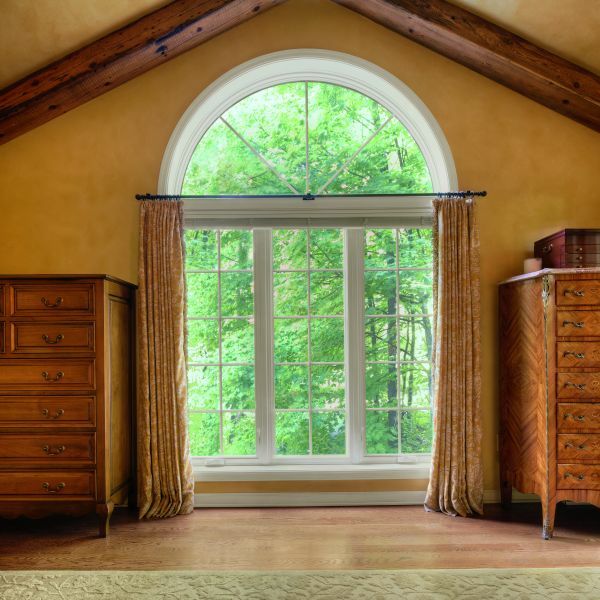 Made to fit your home like traditional wood windows, Infinity windows are customizable to meet the needs of any replacement window project. 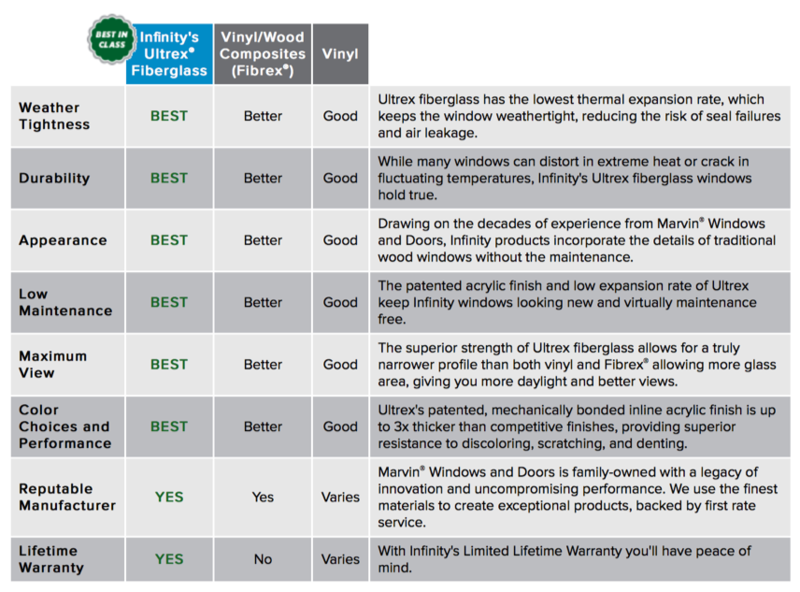 Before you decide to go with the cheap vinyl/plastic windows, consider the many benefits of Infinity from Marvin Fiberglass Windows. Located in Roswell, North Georgia Replacement Windows is the only Infinity dealer in Georgia. Contact us for your window replacement project.